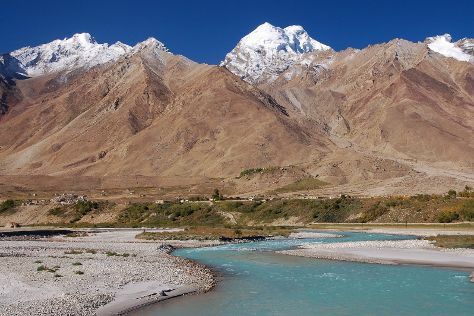 Spend the 1st (Sun) among lush scenery at Zanskar the Virgin Valley. The adventure continues: take in the spiritual surroundings of Thiksey Monastery, examine the collection at Hall of Fame, pause for some photo ops at Shey Monastery, and make a trip to Confluence of the Indus and Zanskar Rivers. To find traveler tips, maps, ratings, and tourist information, refer to the Leh online holiday maker . New York City, USA to Leh is an approximately 22.5-hour flight. You can also do a combination of train and flight. You'll lose 10 hours traveling from New York City to Leh due to the time zone difference. Finish your sightseeing early on the 4th (Wed) so you can travel to New Delhi. 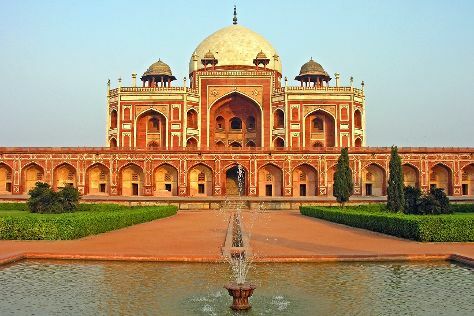 Start off your visit on the 4th (Wed): take in panoramic vistas at Qutub Minar and then take in nature's colorful creations at Humayun's Tomb. On the 5th (Thu), you'll have a packed day of sightseeing: admire the striking features of Rashtrapati Bhavan, admire the natural beauty at Swaminarayan Akshardham, and then explore the historical opulence of Red Fort (Lal Quila). To find traveler tips, reviews, ratings, and other tourist information, read New Delhi trip itinerary planner . Traveling by flight from Leh to New Delhi takes 3 hours. Alternatively, you can drive. July in New Delhi sees daily highs of 95°F and lows of 80°F at night. On the 6th (Fri), wrap the sightseeing up by early afternoon so you can travel to Manali. Start off your visit on the 7th (Sat): take in the spiritual surroundings of Hidimba Devi Temple, then explore the activities along Beas River, then admire the verdant scenery at Solang Valley, and finally explore the activities along Beas Kund. Keep things going the next day: contemplate in the serene atmosphere at Manu Temple, then admire the sheer force of Jogini waterfall, and then hit the slopes at Solang-Nullah. For traveler tips, reviews, photos, and more tourist information, go to the Manali trip planner . Traveling by combination of flight and taxi from New Delhi to Manali takes 3.5 hours. Alternatively, you can do a combination of flight and taxi; or drive. You will have some time to spend on the 9th (Mon) before leaving for Kochi (Cochin). 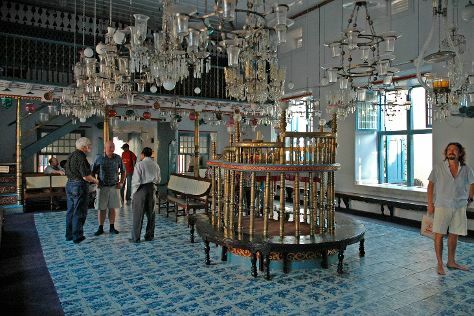 Start off your visit on the 10th (Tue): contemplate in the serene atmosphere at Mattancherry Palace, contemplate in the serene atmosphere at Paradesi Synagogue, admire the striking features of Santa Cruz Cathedral Basilica, make a trip to Chinese Fishing Nets, then stop by Waltons Boutique, and finally pause for some serene contemplation at Vallarpadam Church. Here are some ideas for day two: get in on the family fun at Wonderla Amusement Park. For where to stay and more tourist information, go to the Kochi (Cochin) driving holiday app . You can do a combination of taxi and flight from Manali to Kochi (Cochin) in 7.5 hours. Alternatively, you can do a combination of taxi and flight; or drive. In July in Kochi (Cochin), expect temperatures between 86°F during the day and 74°F at night. Finish up your sightseeing early on the 12th (Thu) so you can go by car to Munnar. Kick off your visit on the 12th (Thu): see human ingenuity at work at Mattupetty Dam, then take in the architecture and atmosphere at C.S.I Christ Church, and then admire the natural beauty at Tea Gardens. To see ratings, more things to do, where to stay, and tourist information, read Munnar driving holiday site . You can drive from Kochi (Cochin) to Munnar in 2.5 hours. Expect a daytime high around 85°F in July, and nighttime lows around 74°F. Wrap up your sightseeing on the 13th (Fri) early enough to travel to Thiruvananthapuram (Trivandrum). On the 13th (Fri), kick back and relax at Kovalam Beach and then see the interesting displays at Puthenmalika (Kuthiramalika) Palace. On the 14th (Sat), you'll have a packed day of sightseeing: contemplate the long history of Sivagiri, then enjoy the sand and surf at Varkala Beach, and then stop by The Art of India. To see ratings, where to stay, maps, and more tourist information, refer to the Thiruvananthapuram (Trivandrum) sightseeing planner. You can do a combination of taxi and flight from Munnar to Thiruvananthapuram (Trivandrum) in 3 hours. Alternatively, you can do a combination of taxi and bus; or drive. Expect a daytime high around 86°F in July, and nighttime lows around 76°F. 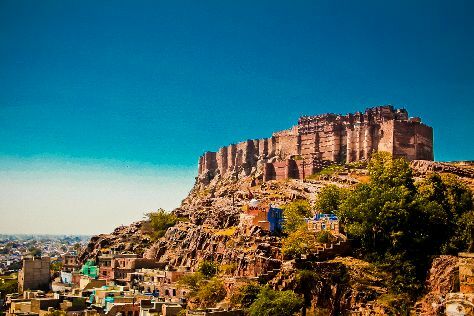 On the 15th (Sun), wrap the sightseeing up by early afternoon so you can travel to Jodhpur. For ratings, reviews, other places to visit, and other tourist information, use the Jodhpur day trip planner . Getting from Thiruvananthapuram (Trivandrum) to Jodhpur by flight takes about 5 hours. Other options: drive; or take a bus. Wrap up your sightseeing by early afternoon on the 16th (Mon) to allow enough time to travel to Agra. Kick off your visit on the 17th (Tue): admire the striking features of Taj Mahal, then stop by The Warehouse of Gifts & Souvenirs, and then explore the historical opulence of Agra Fort. On the 18th (Wed), you'll have a packed day of sightseeing: don't miss a visit to Jahangir Mahal, then stop by Subhash Emporium, then make a trip to Tomb of Itimad-ud-Daulah, and finally make a trip to Shri Mankameshwar Mandir. To see ratings, other places to visit, traveler tips, and more tourist information, use the Agra trip tool . Traveling by combination of flight and train from Jodhpur to Agra takes 5 hours. Alternatively, you can drive; or take a train. Expect a daytime high around 95°F in July, and nighttime lows around 80°F. Finish up your sightseeing early on the 19th (Thu) so you can go by car to Jaipur. Jaipur is known for historic sites, museums, childrens museums, shopping, and nightlife. Your plan includes some of its best attractions: contemplate the long history of Amber Fort, admire the landmark architecture of Birla Mandir Temple, make a trip to Hawa Mahal - Palace of Wind, and stop by Anokhi Clothing Store. To see where to stay, other places to visit, traveler tips, and tourist information, go to the Jaipur trip itinerary planner. Drive from Agra to Jaipur in 3.5 hours. Alternatively, you can take a train; or take a bus. In July, daily temperatures in Jaipur can reach 95°F, while at night they dip to 79°F. Finish your sightseeing early on the 22nd (Sun) so you can travel to Udaipur. Start off your visit on the 23rd (Mon): contemplate the waterfront views at Lake Pichola, then get engrossed in the history at City Palace of Udaipur, and then explore the activities along Lake Fatehsagar Udaipur. On your second day here, take in the spiritual surroundings of Eklingji Temple, step into the grandiose world of Monsoon Palace, then take in the spiritual surroundings of Jagdish Temple, and finally admire the landmark architecture of Jagmandir Isla. Plan my Udaipur trip by asking Inpirock to come up with tips and suggestions. Getting from Jaipur to Udaipur by flight takes about 1.5 hours. Other options: drive; or take a bus. Finish up your sightseeing early on the 24th (Tue) so you can travel to Mumbai. Mumbai is known for historic sites, scenic drive, shopping, museums, and theme parks. Your plan includes some of its best attractions: don't miss a visit to Gateway of India, admire the striking features of Chhatrapati Shivaji Terminus, stop by Bungalow Eight, and contemplate in the serene atmosphere at Shree Siddhivinayak. To find ratings, maps, more things to do, and more tourist information, go to the Mumbai online driving holiday planner . Traveling by flight from Udaipur to Mumbai takes 2 hours. Alternatively, you can drive; or take a train. In July, plan for daily highs up to 86°F, and evening lows to 77°F. Wrap up your sightseeing on the 28th (Sat) early enough to travel back home.